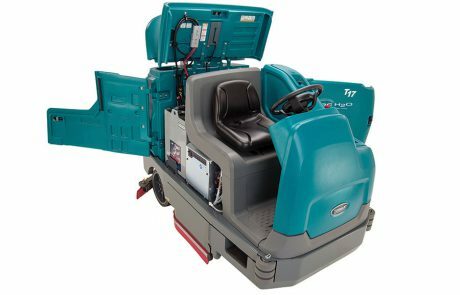 The T7 features a maneuverable, easy-to-operate design that delivers consistent cleaning results to help reduce your cost to clean, improve facility image and provide a safe environment in an easy to use and maintain micro rider scrubber. 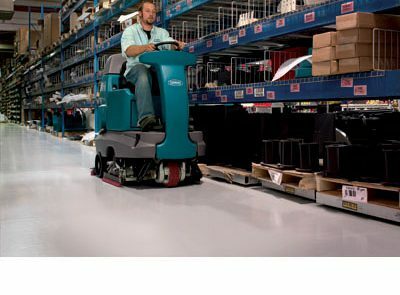 Improve floor traction and reduce the risk of slip and fall accidents with optional ec-H2O NanoClean™ technology. 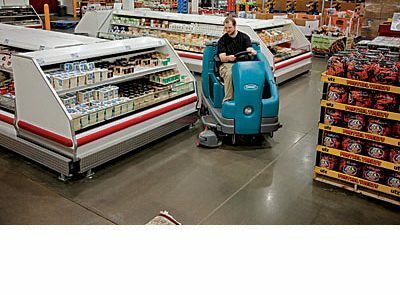 Ensure clean, streak-free floors with optimal water recovery that maximizes soil removal. 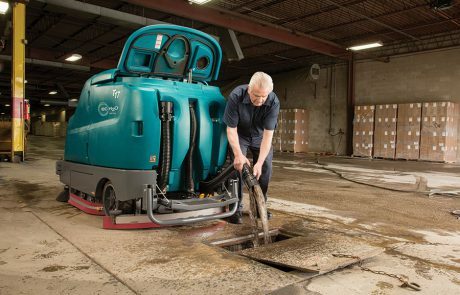 Clean effectively, save money, increase safety and reduce environmental impact with optional chemical-free ec-H2O™technology when compared to daily floor-cleaning chemicals and methods. Extend component life and reduce maintenance costs with the AC brushless propelling motor. 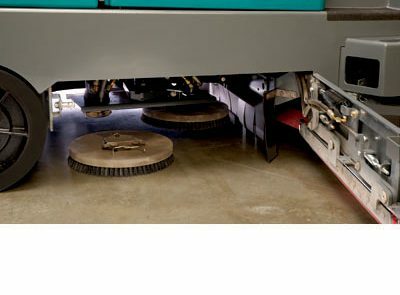 Prevent costly squeegee damage and protect your facility with the innovative break-away squeegee. 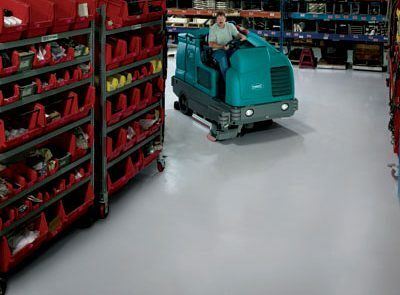 Help maintain a safe environment, reduce chemical usage, chemical handling / storage, and risk of slip and fall injuries with NFSI-certified ec-H2O™ technology. 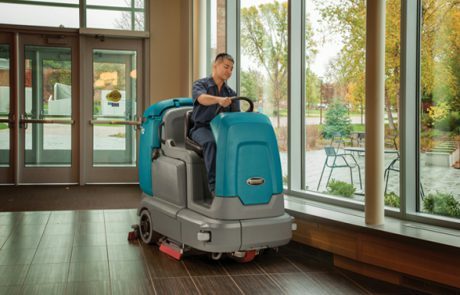 Maintain a high standard of consistently clean floors in your facility with options like the on-board wand, scrubbing side brush & pre-sweep that extends cleaning to hard-to-reach areas. Maximize uptime with easy to use operator controls and yellow touch points that provide quick identification to maintenance locations. 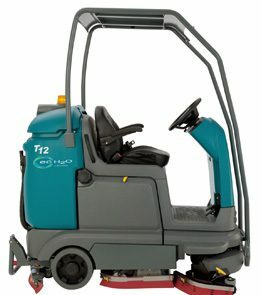 Designed to help reduce your cost to clean, improve facility image and provide a safe environment for the operator and service personnel. 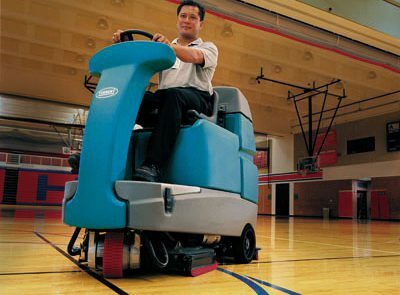 Protect your investment with a high performance scrubber that withstands wear and tear in the harshest environments. Help maintain a safe environment with reduced risk of slips and falls with our excellent water recovery system. 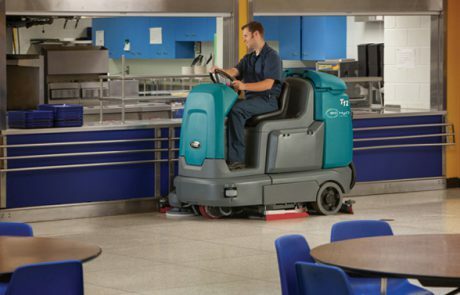 Maintain a high standard of consistently clean floors in your facility with a high performance scrub system that delivers significant cleaning power.